It is well-known that s good lawyer never misses a business opportunity. Responding to the classic silly-season news that the Duke and Duchess of York may (or may not) be considering remarriage, Nigel Shepherd says that lawyers 'have even exploited the trend' for divorcing couples to get back together by offering them "post-marital agreements", setting out what would happen if it all goes wrong again. Edgar Venal would be proud. Continuing the silly-season news theme, the BBC informed us that two Kenyan men have agreed to marry the same woman. The woman had apparently been having affairs with both men but was unable to choose between them, hence the polyandrous arrangement. Sounds to me like a family lawyer's dream. I wish all three of them luck - they're going to need it! My client wants to argue the principle. Picture £50 notes flying out of the window I told her. Want to try common sense? Home Secretary Theresa May has told the BBC that she will be speaking to Parliament about how the police can improve the way they handle domestic violence. I don't know what this might involve, and I don't want to criticise the police (although I'm sure (as shadow home secretary Yvette Cooper has said) that the quality of police response varies from force to force), but I have always said that the police are the 'first line of defence' for victims of DV, so any improvement must be welcome. 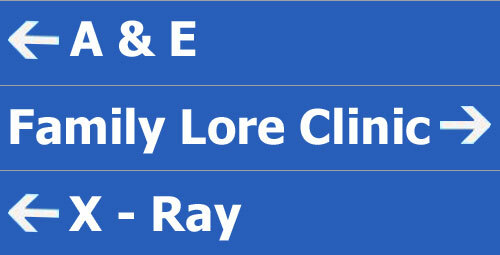 Family Lore Clinic: I have a charge on my house from a court order, does my exes mortage company have a 2nd charge? It is a common arrangement in a divorce settlement that the former matrimonial home is transferred to one party, with the other party being given a charge over the property for their share, the charge not being enforceable until some future date, for example when the children have finished their education. Obviously, the party to whom the property is transferred may still have had to take out a mortgage on the property, for example to pay off any mortgage that was already existing on the property prior to the transfer. How does that mortgage work with the charge given to the other party? The answer is that the mortgage company will probably not have a second charge, it will have a first charge. This means that their charge will rank first in priority to the other party's charge, so that if the property were sold, their charge would be paid off first. If there is sufficient equity in the property to cover both charges, then having a second charge is not necessarily a problem. However, if the equity is not sufficient, then the person with the second charge may find that if the property is sold (for example because the owning party defaults on the mortgage), there is not enough money left from the sale proceeds to pay their charge. As usual, if you require more detailed or specific advice regarding this matter, you should consult a specialist family lawyer. WELCOME to this week's Family Lore News Update (a thinner than usual summer holiday edition). Every family could be required to have details of their domestic arrangements stored on a chip in their children’s passport, under plans being considered by the European Commission. Full story: The Telegraph. Medway's service for children in care has been rated as inadequate in a report by the education watchdog. Full story: BBC News. They were the husband and wife team who made a £200million fortune from the investment business they built together. Full story: This is Money. The president of the Family Division has criticised a legal aid regime that left a mother who faced jail reliant on her lawyers’ willingness to act for free. The Re Jones case - see below. Full story: Law Society Gazette. London’s status as the divorce capital of the world was enhanced by the news in July this year that Alexei Golubovich and Olga Mirimskaya have apparently issued proceedings in London’s High Court to deal with their English property, following their divorce in Russia last year. Full story: Spear's. A commissioner has been appointed to oversee the transfer of Doncaster's children's services to an independent trust. Full story: BBC News. In 2012, the number of adoptions in England and Wales was 5,206, an increase of 9.8% since 2011 when there were 4,740 adoptions. Full story: Family Law Week. For further details see the ONS Statistical Bulletin. Application for judicial review of local authority decision not to provide children and their parents accommodation and support pursuant to s.17 Children Act. Full report: Family Law Week. Care proceedings. Judgment considering primarily whether there should be a placement order or a special guardianship order in respect of the youngest child. Full report: Bailii. Application for committal to prison of a mother for alleged contempt of court in relation to an order requiring the return of the children to Spain. Application dismissed. Full report: Judiciary of England and Wales (PDF) (HTML version: Bailii). See also the news story above and the blog post, below. Case concerning the future of a twenty five year old man suffering from an autistic spectrum disorder, and where he should live plus what help should be given to him. Full report: Bailii. See also the blog post, below. Application by mother under Schedule 1 Children Act for financial remedies by way of housing capital and periodic financial provision. Full report: Bailii. Judgment dealing with arrangements for child after s.31 threshold had been passed. Supervision order made. Full report: Bailii. Appeal by father against decision to return children to Spain, despite their objections. Appeal allowed in part. Report: Family Law. Authorisation of Payments in International Commercial Surrogacy – A New Approach? Ruth Cabeza, barrister, of Field Court Chambers considers two important judgments recently made by Mrs Justice Theis concerning payments under international commercial surrogacy agreements. Full article: Family Law Week. The decision of the Court of Protection in Re A Local Authority v WMA 2013 [above]. Full post: suesspiciousminds. Two recent cases on committals (Jones [above] and Roberts) – one resulting in a suspended sentence, one resulting in the committal being dismissed on some interesting technicalities. Full post: suesspiciousminds. This week's prize for the most profound family law news story must go to the Daily Express which informed us that: a) the cost of divorce is increasing and b) the most expensive lawyers are in London. Still I suppose the story did give some excellent but I'm sure entirely unplanned publicity (see also here) to the online divorce site who carried out the instructive research that gave us these fascinating insights. There was good news and bad this week. Beginning with the bad, the Child Poverty Action Group informed us that the cost of bringing up a child has risen to an eye-watering £148,000. More particularly, it has increased by 4% over the last year, out-stripping both benefit increases and average earnings, by a considerable margin. The good news was on the adoption front, with the latest statistics showing the biggest annual increase in the number of adoptions for fifteen years. The figure of 5,206 represented a 9.8% increase on 2011. Unsurprisingly, the Office for National Statistics suggested that the rise 'could be down to a recent drive to improve the adoptions process in England and in Wales'. Music, I'm sure, to the ears of Mr Gove. Meanwhile, the Young divorce continues to generate media interest. This week The Independent asked how Scot Young, who appears now to be losing his hair as fast as his money, can afford to finance "the UK's most high-profile divorce hearing". The newspaper claims that he has engaged the services of Raymond Tooth, a claim Sears Tooth have refused to confirm, citing 'the duty of confidentiality'. The paper has also been investigating the case and reveals "more peculiarities" about it. Hopefully, some light will be shed upon these matters when the case returns to court for the final hearing in October. And finally, Spear's told us on 'Wealth Wednesday' (wealthy for who? - certainly not me) of another Russian divorce case that 'cements London as [the] divorce capital of the world'. Strangely, I can find no mention of it being the 'divorce capital of the world' on the visitlondon.com official visitor guide website - I really don't understand why such a proud boast isn't being utilised by those promoting our great city. Family Lore Clinic: Is there an alienation of affection law in the UK? 'Alienation of affection' is a term used to describe a legal action that may be brought by a spouse against a third party who they believe is responsible for the breakdown of their marriage, most commonly used where the third party is alleged to have had an adulterous relationship with the other spouse. The action is available in some US states, but it is not available in this country. The 'innocent' spouse has no redress against the third party (save, I suppose, that they could claim the costs of any divorce against them, not that I'm recommending such a course of action). More than 4,000 police officers are to be trained in specialist child protection following a series of abuse scandals. Full story: Daily Mail. Families are struggling as the cost of bringing up a child has risen to £148,000, according to research for the Child Poverty Action Group. Full story: BBC News. New organisation seeks to bring together the best evidence-based research on share parenting. Full story: Family Law Week. At least three local authorities have stopped charging parents whose children go into care after finding the plans failed to deliver benefits. Full story: Community Care. King J delivers withering criticism of Husband’s litigation misconduct and orders award worth £54 million to wife. The M v M case - see below. Full story: Family Law Week. Growing up with siblings may provide some protection against divorce as an adult, according to a new study. Full story: Family Law. A High Court judge has for the first time sanctioned the sterilisation of a man because it is “in his best interests”. The DE case - see below. Full story: The Independent. The Government’s proposed model for children’s services in Doncaster has “considerable limitations and legal complications”, the local authority has warned. Full story: Local Government Lawyer. Two charities, Relate and Family Live, are among the first organisations to be awarded a new mark for their work in helping support separated families. Full story: GOV.UK. The government is considering taking failing children’s services out of local control at a handful of councils, local government children’s services chief David Simmonds has said. Full story: Children & Young People Now. Further councils are considering introducing a controversial system of charging parents if their children are taken into care, CYP Now has learned. Full story: Chuldren & Young People Now. see also the blog post, below. W's application for permission to appeal against the setting aside of a decree nisi, the W maintaining that the English court did have jurisdiction to entertain divorce proceedings because the H was habitually resident in the UK. Application refused. Full report: Family Law Hub. Appeal by mother against Care and Placement orders. Appeal dismissed. Full report: Family Law Week. Care proceedings in case where the parents' first child had died, having received injuries which were considered to be non-accidental. Full report: Bailii. See also the blog post, below. Application by NHS Trust for declaration that a 37 year-old man who suffers from a learning disability should undergo a vasectomy. Full report: Judiciary of England and Wales (PDF). (HTML version here.) See also the news story above and the blog post, below. Judgment in respect of breaches of an order and undertaking which were intended to protect a child in care. Full report: Bailii. Financial remedies claim by wife in case involving identified assets of £107 million. Wife awarded half. Full report: Judiciary of England and Wales (PDF) (HTML version here). See also the news story above and the blog post, below. Application by NHS Trust for a declaration that in the event of a patient suffering a cardiac arrest and/or a respiratory arrest and/or other serious deterioration in his condition, it would not be in his best interests for active resuscitation and/or other similar treatment to be provided. Full report: Bailii. Re B (A Child): Who Held What in the Supreme Court? Frank Feehan QC and Anna McKenna who appeared for the appellant in the Supreme Court and Justin Leslie offer a tabular summary of the findings of the individual Justices on key issues in the appeal. Full article: Family Law Week. Alex Verdan QC of 4 Paper Buildings considers several recent judgments in Children private law proceedings which provide practitioners with helpful guidance. Full article: Family Law Week. The process of reform : London. Full article: FLBA (PDF). R (X) v London Borough of Tower Hamlets  EWCA Civ 904 raises the specific question of a council's power to fix foster carer allowances and fees; and more generally the extent to which a public body may diverge from guidance issued by the relevant minister. Full article: Family Law. The decision in Re DE 2013 [above], and issues arising from this. Full post: suesspiciousminds. The guidance given by the High Court in Re IA (A Child: Fact Finding: Welfare: Single Hearing : Experts Reports) 2013 [above]. Full post: suesspiciousminds. M v M: "A fantastic charade with the husband a shady puppet master in the background"
The eagerly-anticipated report in the record-breaking financial remedies case M v M [above] has now been published on the Judiciary of England and Wales website. Full post: Family Lore. The legal implications of the mooted proposals from Worcestershire to charge parents for voluntary foster care. Full post: suesspiciousminds. This week's summary of the top family law news stories and cases, in a particularly short, easy-to-listen, format. When indeed? Whilst every other aspect of family law reform seems to be 'up for grabs', much-needed change in this area seems as far away as ever. I mentioned last week Lucy Reed's views on the help being provided to litigants in person by the MoJ (and HMCTS). She has now written a post reviewing a new guidance leaflet for separated parents produced by HMCTS, and the MoJ's video guides for separated parents. She describes the latter as "only a tiny sticking plaster on a very big problem". As she says, the videos appear to have had only 182 views, although quite where YouTube gets this figure from I'm not sure, as it doesn't seem to change and is a lot less than the total for each individual video. Even so, the take-up dosn't seem to be Earth-shattering. Lastly, someone who doesn't appear to be on holiday is our esteemed President, who has produced the fifth View from his chambers (at least on the FLBA website). This one deals with the reform of the Family Court in London. The President comments: "We have a wonderful opportunity to make the family justice system in London something we can all be proud of". Amen to that. The eagerly-anticipated report in the record-breaking financial remedies case M v M has now been published on the Judiciary of England and Wales website. I don't propose to go through the report in great detail, as I'm sure it will be scrutinised by many far more learned family lawyers in the coming days and weeks, but the following will hopefully be a useful summary of the 266 paragraph judgment. Briefly, the case involved a Russian husband and wife who were married in 1991 and have lived in England since 2005. The husband is 49 and the wife is 48. There two children of the marriage, a nineteen year old at university and a fifteen year old at boarding school, and both parties have another child by a previous marriage. They separated in 2008 and a divorce was granted upon the wife’s petition in February 2009. During the course of the marriage the husband's business interests in Russia 'took off' and, from humble beginnings, the family began to enjoy a lavish lifestyle. Three companies were set up to look after the husband's businesses. Prior to moving to London in 2005, the husband transferred the ownership of his commercial properties to jurisdictions outside Russia, and after the move properties were purchased in England, all for the exclusive use of the family. After the marriage broke down the wife, erroneously believing that she had to divorce in Russia, issued proceedings there and obtained her divorce. She did not receive any financial provision from the Russian court. However, in 2010 she issued Part III proceedings and the matter has since been dealt with by the English courts, culminating in this final hearing, heard by Mrs Justice Eleanor King DBE. "In that way he was able to fight the case in relation to the only assets about which I am satisfied he cared and which were within the jurisdiction without having to expose himself either to cross-examination or punishment for contempt of court." "Mr Wagstaffe QC appeared to represent the three companies, supported by the usual cast of characters appearing in such cases, including junior counsel, a senior partner from Withers, at least one associate solicitor and various others whose precise role is unclear. The only person Mr Wagstaffe had missing from his entourage was a human client; the directors of the companies he represented were as elusive as the husband, they neither filed a statement nor attended court to give evidence and be cross-examined." Mrs Justice King concluded with the memorable line: "The case has been a fantastic charade with the husband a shady puppet master in the background." Moving swiftly on, the rest of the judgment comprises primarily evidence concerning the husband's assets and Mrs Justice King's summary of the applicable law, including substantial argument regarding the ownership and assets of the companies. "In my judgment this is a case where, notwithstanding the formidable challenges for the wife in enforcing a lump sum order, it would be iniquitous if the husband was permitted, by virtue of his appalling litigation misconduct, to drive the court into an order which is substantially less than that which by virtue of the sharing principle, she would otherwise receive." Accordingly, the wife was awarded £53.5 million (including a lump sum of £38 million), believed to be the highest payout in a contested claim to date, together with child maintenance at the rate of £20,000 per child per annum, plus university/school fees. Family Lore Clinic: Should a solicitor advise a parent to breach a contact order? Obviously, court orders should be obeyed. A solicitor should not therefore normally advise a client to breach an order, and this goes for contact orders just like any other order. However, there could be circumstances when complying with the order could put the child in danger, for example if the other parent is now living with a person with a history of child abuse, or if the other parent has threatened to remove the child from the country. If a parent believes that there are good reasons why a contact order is no longer in the best interests of the child, then they should apply back to the court for the order to be altered. If necessary, such an application can be made urgently, so it may not be necessary to breach the order. Accordingly, my answer to the question would be: a solicitor should not advise a parent to breach a contact order unless there is a very good reason that would justify the breach of the order, and there was no time to go back to the court. Even if an order is breached because there wasn't time to make an application to the court before the next contact was due to take place, an application should still be made as soon as possible. Obviously, this post deals with serious issues. If you are contemplating breaching a contact order, or if you need more information about a possible breach, you should seek urgent advice from a specialist family lawyer. Marriage is becoming the preserve of middle-class couples as growing job insecurity leaves blue-collar workers reluctant to commit to long-term relationships, new research suggests. Full story: The Telegraph. Heavy caseloads mean many independent reviewing officers are unable to fulfill their potential to help children in care, a study has found. Full story: Children & Young People Now. Teachers, doctors and airport staff need to be alert to the problem of forced marriages over the school holidays, the government has warned. Full story: BBC News. Cafcass has issued figures for the number of private law applications and care applications received in July 2013. Full story: Family Law Week. A divorced wife was today awarded £54 million by a judge — the biggest payout in a contested marriage split. Full story: London Evening Standard. Adoption charities in England are to be given an extra £16m to help tackle a backlog of children in care waiting for an adoptive family. Full story: BBC News. See also this press release from the Department for Education. Social workers and police swooped on a family home and removed a gravely ill little girl from her loving parents' care, after what was termed by judge as a 'feeding frenzy' of misinformation. The Re E case. Full story: The Telegraph. Only a minority of young people who plan to start a family intend to get married first, a study shows. Full story: The Telegraph. 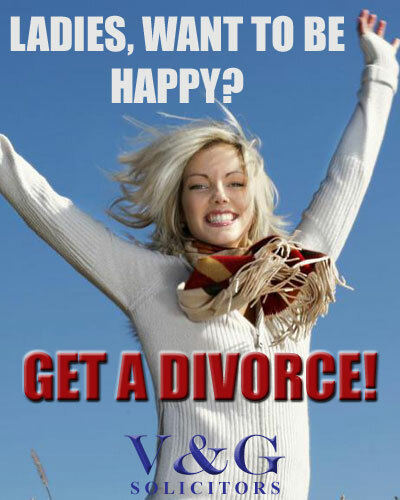 Men feel ‘slightly happier’ after divorce, according to Kingston University project. Full story: Family Law Week. A woman who was subjected to an arranged marriage with a man who has severe mental disabilities begged a High Court judge not to annul the union because it would consign her to permanent spinsterhood and ostracism by the Sikh community. The Sandwell MBC v RG case. Full story: The Telegraph. A woman with severe learning difficulties who has refused to undergo medical examinations for a possible cancer of the uterus will be sedated and forcibly treated, a High Court judge ruled today. Full story: The Independent. Divorce statistics produced by the Office for National Statistics show that the number of people getting divorced each year has been falling steadily since the mid-1990s. However, the number of people aged 60 and over divorcing has been rising during this period. Full story: Family Law Week. Care proceedings. Application by mother for permission to appeal against refusal of application for residential assessment direction and refusal to discharge interim care order. Application refused. Full report: Bailii. Appeal against order that cohabitee entitled to a share in property owned by appellant. Appeal allowed. Full report: Bailii. See also the article below. F's appeal against orders which refused direct contact between him and his children, imposed a s.91(14) order for a period of five years and that F, who was a litigant in person before the court, should pay the mother's costs. Appeal dismissed. Full report: Family Law Hub. See also the post by suesspiciousminds, below. Application for permission to appeal against refusal of application for permission to appeal out of time against ancillary relief order and of application to set aside that order on grounds of material non-disclosure. Application refused. Full report: Bailii. Application by NHS Trust in respect of a man who is on hunger strike in the Trust hospital. The relief sought by the Trust is a declaration that he lacks capacity to litigate and to make decisions in respect of his nutrition and hydration; and that it is lawful for the Trust to administer artificial nutrition and hydration. Full report: Bailii. See also the post by suesspiciousminds, below. Application by the NHS Foundation Trust for declarations in relation to the medical treatment of a young man who was born with a congenital abnormality of the brain. Full report: Bailii. Appeal by father against refusal of return of children to Norway, based upon the objections of the children, who had witnessed an incident of domestic violence upon the mother. Appeal dismissed. Report: Family Law. Appeal by local authority against decision that a child was a looked after child following the grant of an interim residence order in favour of the grandparents. Appeal allowed. Report: Family Law. The government is introducing measures which it says will take pressure off the courts and tribunals, and in the case of family law disputes fill the gap left by cuts to legal aid. But many practitioners say the policies have not been properly thought through – and may actually hinder the use of mediation. Full article: Law Society Gazette. "Smith v Bottomley and Coach House Properties Ltd  EWCA Civ 953 [above] is an object lesson in penalties for parties for inadequate pleading; and (perhaps) reminds family lawyers of the strict application of rules as to implied trusts - especially in relation to detrimental reliance to establish a constructive trust." Says David Burrows, in this article on Family Law. Jessica Craigs, senior solicitor and David Salter, Joint Head of Family Law at Mills & Reeve LLP analyse the financial remedies and divorce news and cases published in July. Full article: Family Law Week. On 24 July 2013 the Court of Appeal handed down a landmark decision for kinship foster carers, confirming that they should not be paid less than unrelated foster carers simply on the basis of a familial relationship. Full article: Law Society Gazette. Making a costs order in private law proceedings against a man with no ability to pay – the Court of Appeal decision in Re G (Children) 2013 [above]. Full post: suesspiciousminds. A (hopefully short) discussion about the inherent jurisdiction, particularly as it applies to adults. Full post: suesspiciousminds. The Court of Protection grappled with a difficult issue in A NHS Trust v Dr A 2013 [above]. Full post: suesspiciousminds. "The juggle to balance calls for a more transparent and open system of family justice against the rights of families and children to privacy has been the subject of significant debate in recent years." Says Sarah Wright. Full post: Family Law Blog. Suesspiciousminds examines G (A Child)  EWCA Civ 965 (30 July 2013). Full post: suesspiciousminds. Sandwell MBC and RG, GG and SK and SKG 2013 and whether an arranged marriage where the individual had no capacity should endure or be dismantled. Full post (you guessed it): suesspiciousminds. As any long-time follower of this blog will know, I gave up practising in 2009. Since then, I have been occupying myself full-time running this blog and its companion site Family Lore Focus, relying for my (very modest) income upon what I could earn from writing and, primarily, from advertising. For a while this worked reasonably well. As mentioned, I only made a modest income but I survived by living frugally. However, over the last year or so my income has declined, mainly for reasons entirely beyond my control. Now the decline has reached a point where I am going to have to look elsewhere for a living. Inevitably, this is going to mean a reduction in what I am able to do in connection with the blog and site, and possibly even shutting one or both down completely. However, before I take any such steps I thought I would ask whether there is anyone out there who may think that I can provide them with a (non-practising) service, utilising the skills and knowledge I have gained in the seven years since Family Lore was established (not to mention my 25 years practising family law), in such a way as to enable me to continue with the blog/site. The blog and site are primarily aimed at providing a family law news service. Accordingly I can, for example, provide you with family law news updates tailored to particular requirements, or perhaps news-based content for your firm's blog. Obviously, I would require remuneration for any service I provide, the amount negotiable, dependent particularly upon how much time I spend providing the service. If you are interested, or if you would like to discuss any proposals you have, please email me at john[at]familylore.co.uk. Are the contents any more inspiring than the covers? 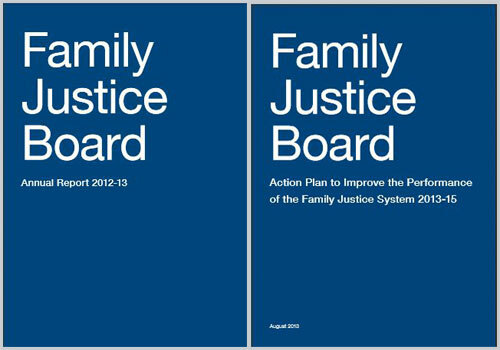 The Family Justice Board has published its Annual Report for 2012-13 and its 'Action Plan to Improve the Performance of the Family Justice System 2012-15'. The Report sets out the Board's "activities and achievements during its first year of operation", including performance against five 'Key Performance Measures' ('KPMs'), such as duration of care cases and the effectiveness of publicly-funded mediation. The Action Plan "sets out the actions the Board and its partners are undertaking to achieve the government’s vision of a family justice system that supports the delivery of the best possible outcomes for all children who come into contact with it". The Plan itself is set out in a table ('Table A') which details each action and for that action the relevant KPMs, 'key deliverables', the delivery date and the lead organisation and main supporting partners. The Report can be found here, and the Plan here. Just one word of warning - be prepared not only for initialisms but also the usual jargon and neologisms that all such documents seem required to contain these days. 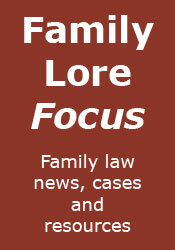 Family Lore Clinic: What is the penalty for breach of a no-contact order? A 'no-contact order' is an order that that party, usually a parent, shall have no contact with the child or children. As the law takes the view that all children should if possible have a relationship with both parents, no-contact orders are quite rare, and only made in exceptional circumstances. If the person who is subject to the order should attempt to have contact with the child then they will be in contempt of court for breaching the order. A person found in contempt can be fined or imprisoned. The amount of the fine or the length of the period of imprisonment that is imposed will depend upon the court and the seriousness of the breach of the court order. The court can also impose a suspended term of imprisonment. Obviously, breach of any court order is a serious matter. If you believe that a no-contact order may have been breached, or if you require any further advice upon the subject, then you should consult a specialist family lawyer. Child protection services in Somerset have been given the lowest rating of inadequate by Ofsted. Full story: BBC News. The government’s plans to take Doncaster's children’s social care out of council control could harm service improvement, experts have suggested. Full story: Children & Young People Now. Mrs Justice Theis has endorsed the guidance given by Mrs Justice Hogg, in Re A and B  EWHC 3824 (Fam), in cases where one parent murders the other. The N v B case - see below. Full story: Family Law Week. A mother whose daughter was abducted and taken to Egypt by her father has rescued the toddler after disguising herself with a burka and snatching her off the street. Full story: The Telegraph. New draft guidance on identifying and preventing domestic violence and abuse (including psychological, physical, sexual, financial or emotional abuse) between family members or between people who are (or who have been) intimate partners has been published by the National institute for Health and Care Excellence. Full story: Family Law Week. Celebrity divorces are giving ordinary couples an unrealistic view on what to expect when separating, warns the Law Society. Full story: The Law Society. A serious case review into the death of Daniel Pelka is investigating whether authorities missed opportunities to protect the child, who died after a campaign of abuse by his mother and her partner. Full story: Community Care. The Judicial Committee of the Privy Council has given judgment in an appeal from the Court of Appeal in Trinidad and Tobago. The Ramnarine case - see below. Full story: Family Law Week. The Inheritance and Trustees' Powers Bill was introduced into the House of Lords on 30 July 2013. It is due to receive its second reading on the 22nd October 2013. Full story: Family Law Week. The Senior Designated Family Judge for London, His Honour Judge Altman, has announced that HM Courts & Tribunal Service will no longer be able to allocate a District Judge of the Day on a daily basis. Full story: Family Law. In a ground-breaking case, the Court of Protection has been asked to decide whether it would be in the 36-year-old's best interests for him to have a vasectomy. Full story: The Telegraph. A review of foster carer payments in England has been urged after it emerged more than 300 Merseyside carers have been underpaid for years. Full story: BBC News. People with a history of domestic violence should be prevented from having guns, says the Home Office. Full story: BBC News. Judgment addressing the question whether the provisions of article 15 Brussels II Revised may be used to facilitate a transfer of proceedings between jurisdictions within the United Kingdom. Full report: Bailii. Appeal by wife against an order made by the Court of Appeal of Trinidad and Tobago in proceedings for financial relief between her and her ex-husband following divorce. Full report: JCPC (PDF). See also the news story, above. Care proceedings in which the local authority alleged that the parents had put the child at risk by failing to understand her medical needs. Full report: Bailii. Application for a parental order under s.54 Human Fertilisation and Embryology Act 2008, in relation to two children born in California pursuant to a surrogacy arrangement. Full report: Bailii. Application to adopt 15 year old child made by partner of child's mother. Held that the child had not had her home with the applicant for the requisite period of time. Full report: Bailii. Application for a parental order under s.54 Human Fertilisation and Embryology Act 2008, in relation to a child conceived following a surrogacy arrangement entered into by the parties through a surrogacy agency based in California. Full report: Bailii. Application for a parental order under s.54 Human Fertilisation and Embryology Act 2008, in relation to a child conceived through IVF treatment in Moscow. Full report: Bailii. Care proceedings relating to four girls. Judgment dealing primarily with issue of jurisdiction. Full report: Bailii. Care proceedings involving four children, the oldest of which was not a child of the 'parents', who originated from Cameroon. Full report: Bailii. Care proceedings, including an application by the local authority for a declaration as to the child's date of birth. Full report: Bailii. The father's applications for parental responsibility and direct contact were dismissed and a s.91(14) order made. The father was granted permission to appeal re: the PR and s.91(14) decisions. Appeal dismissed. Full report: Bailii. See also my blog post, below. Judgment concerning arrangements for two adult brothers lacking capacity, including whether the marriage of one brother should be annulled. Full report: Bailii. Second appeal by mother against care order. Appeal allowed. Full report: Bailii. Appeal by father against care and placement orders. Appeal allowed. Full report: Bailii. Application by police for a person to be committed to prison for contempt of court for breach of a forced marriage protection order, where they were not the applicants who obtained the order. Held that they had no standing to make the application. Full report: Bailii. See also the blog post, below. Care proceedings involving child of Slovakian parents. Appeal against order for transfer of proceedings to Slovakia. Appeal dismissed. Full report: Family Law Week. Case concerning the jurisdiction of the court to determine care proceedings concerning a child born in Slovakia. Full report: Bailii. Care proceedings involving a child born in Slovakia. Interim care order made and Article 15 request for transfer of proceedings to Slovakia. Full report: Bailii. Care proceedings relating to five children. Care orders made in respect of four younger children and supervision order in respect of eldest child. Full report: Bailii. Application by maternal grandmother for the adoption of her grandchildren. Adoption order made. Full report: Bailii. See also the news story, above. "The recently published Imerman v Imerman  EWHC 4047 (Fam), Moylan J does not reflect well on the breadth of Family Procedure Rules 2010; and shows how FPR 2010 leave much to a practitioner's interpretation of the common law." Says David Burrows, in this article on Family Law. "It might be that the sanction of committal for contempt for ignoring orders of the court in respect of providing proper financial information in divorce proceedings may be more likely than before – partly in view of the new climate intended to be fostered by the “ Jackson” reforms." Says David Partington. Full article: Sovereign Chambers. James Hargan looks at the case HB, PB, and OB –v- London Borough of Croydon  EWHC 1956 (Fam). Full article: Sovereign Chambers. In this two part article, Adreeja Chatterjee provides an introduction to the forced marriage legislation. Full article: No5 Chambers. May a Police Force apply for a person to be committed to prison for contempt of court for breach of a Forced Marriage Protection Order (FMPO) when the police were not the applicants who obtained the order? ObiterJ looks at Bedfordshire Police Constabulary v RU & Anor [above]. Full post: Law and Lawyers. Suesspiciousminds looks at the peculiar set of facts of Re M, which hinged on whether a child had been conceived by artificial insemination, or in the traditional way, and if the former, whether the husband of the mother had consented. Full post: suesspiciousminds. Suesspiciousminds discusses the case K (A Child: Wardship: Publicity)  EWHC B11 (Fam). Full post: suesspiciousminds. A summary of PM v MB & Anor  EWCA Civ 969 [above], which involved a father's appeal against the refusal of parental responsibility and the making of a s.91(14) order. Full post: Family Lore. "In this concluding part I will consider the following potential enforcement remedies: Hadkinson relief, orders subject to conditions, declarations of beneficial interest, an order for lump sum(s) and in default an order for sale, drafting maintenance orders, payment on account of costs, interest, a general application for enforcement; and committal by way of a judgment summons." Full post: Family Law Blog. 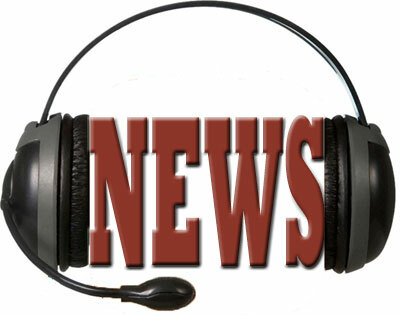 A summary of the top family law news stories from the last week, in the usual short, easy-to-listen, format. @peternewman79 @dickysouray Violence in the home is not a one way street. An oft-forgotten point - as we have long known, but as is still all too often ignored, a large proportion of DV victims are men (Marilyn has since blogged about this, here). Still on the subject of domestic violence, I was pleased to read the news that the Home Office has issued guidance to the effect that people with a history of DV should be prevented from owning a firearm. This takes me back to an extremely worrying case I dealt with in my very early days as a family lawyer, when a client who had suffered DV told me that her partner kept a shotgun in their home. "The CMS is designed to be a safety net for difficult cases where parents are unable to work things out between themselves." Tuesday, his seventy-fifth birthday, brought the retirement of Lord Justice Thorpe, the Head of International Family Justice for England and Wales and surely one of the best-known and busiest family judges of the last two decades. Reading family law Court of Appeal cases just won't be the same without the almost ubiquitous Lord Justice Thorpe judgment. I wish him a long and happy retirement. "The 'quickie divorce' will be heard at 10.30am - and means the couple's 10-year-marriage could be over in a matter of minutes." Hmm, not entirely accurate. Still, this is the Daily Fail Mail (although they weren't the only ones guilty of this error, and some of the other culprits really should have known better). "The reality is that few couples are in the privileged position of Lawson and Saatchi, both of whom are wealthy enough to proceed with an undefended divorce, which doesn't involve the division of mutual assets accumulated from the beginning of the relationship." So make sure you instruct a solicitor! The saddest story of the week was, of course, the trial of the mother and stepfather of Daniel Pelka, with its harrowing details of a young life brutally cut short. Of course, the media and politicians' witch-hunt for scapegoats has already begun, unable to wait at least until the serious case review has been carried out (by which time the media will no doubt have moved on to the next big story). I noted with interest the comments of Andrew Webb, the President of the Association of Directors of Children’s Services, to the effect that it is impossible to prevent all child deaths. He has been accused of 'defeatism', but I would call it 'realism'. I am fed up with people saying such crass things as that "we must make sure it never happens again". Well, of course we can never do that - all we can do is learn from mistakes and do our best to prevent it happening again. It's never over 'til the referee blows the whistle, so I would like to end this post on a lighter note by recommending this excellent post by BabyBarista, in which TheVamp suggests summing up in the style of a football manager. Have a good weekend.